Swift is basically referred to as objective C but without the C. In plenty of ways, Swift is way better than Objective C its fierce competitor. Well, no wonder why it is adapted hugely by the herd of iOS developers. Now, there are major improvements that you cannot deny, but there are flaws as well. Let’s explore both the good the bad, the best, and the ugly side of the Swift programming language. Just like the name, Swift works really swift. The language has a simple syntax and easy grammar. This will enable the developer to read and write the code in a simplified manner. Also, the coding is reduced and performing the same task again is easier. Also, this language contains an ARC which makes managing and tracking the memory usage of the app a lot easier. This means the developers don’t have to invest more time in this management and can focus on more important thing like app development. With swift, the app developer is equipped with the latest trends and features. This way the app will last long in the market without having to invest in making it up to the minute in a short span of time. 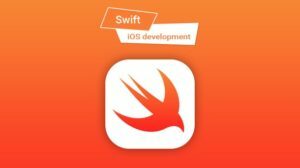 The project that uses Swift is easier to scale as compared to those with Objective C. Even Apple is in support of Swift and started developing its app using Swift then Objective C. The codebase is concise which makes adding new developers to the team and work on an already developed project more understandable. With the speed it offers, the performance is bound to improve and the productivity tends to boost. The basic agenda was to outperform the previous language of iPhone app development and well planned as it has outperformed it. The performance of apps developed by swift is 40% improved as compared to the apps developed by Objective C.
Now, that the performance is already proved to be a perk, let’s move to the security. The language is highly equipped with the indestructible typing system and also enhanced error handling capacity which leads to reduced app crash and production error. There was a fear that Swift will replace Objective C or whether it will be adaptable with the apps that are already developed using the older language. Well, the good news is that both are totally adaptable. Both of them can be used in a single project and that too goes perfectly well without any potential hindrance. There are two possibilities, either you can incorporate new features of Swift in the already developed app with Objective C. The another alternative is to use the elements of Objective C in a new project which is developed using Swift. Hence, they are portable without any sort of constraint. The technology of Automatic Memory counting has been added to Swift which has never been a part of iOS before this. These are basically the garbage collectors which deletes the class instances which are not being used by different languages like C#, Java and Go. These reduce the memory footprint and clears up almost 20% space in your CPU. Without this technology, the developers have to manually do it all which eats up quite a lot of their time. 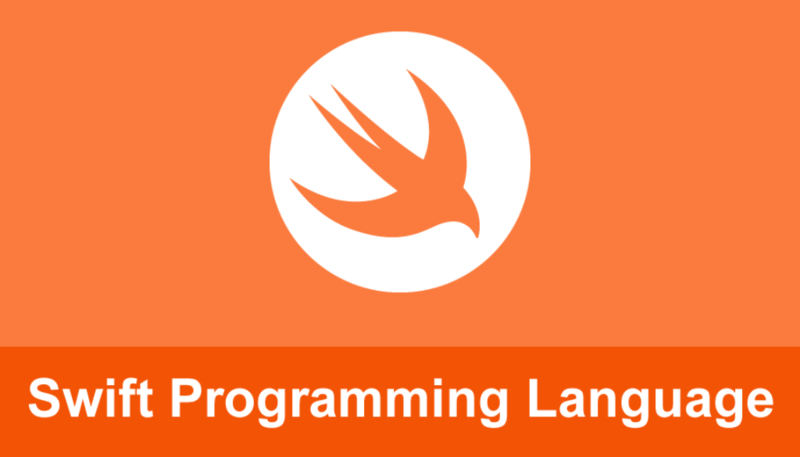 The use of swift programming language can be done for both front-end and back-end development. This will make the extensive codesharing possible which results in code-sharing and speeding up the development process. This will make the development process faster and also reduce the development efforts. Well, we just discussed some of the potentials about Swift but it still has drawbacks. Explore them and decide for yourself whether you should opt for the same or not. “The language has speed and it has power, yet it is too young to stay forever.” It has issues that many developers have addressed and it will need time to get rid of them. Swift has limited tools and native libraries available. Also, the earlier released tools and resources are of no use for the newer release. The developer’s community for Swift is heavily growing but it is still not that huge. Compared to other open source languages, it has a limited set of resources and the demand is growing high. There are only a few developers who have hands-on expertise on Swift and they would definitely charge a fortune. So, yes to get an iPhone developer having experience in Swift is difficult and expensive. Swift can be integrated only in those apps which target the iOS 7 version and later. There is support for the apps that are running on the older versions from the Swift. According to the data, approximately 5% of the Apple devices run on the iOS 6 or the version below that. The updates are very frequent and the backward compatibility is very poor. This makes even more difficult to find the correct tools to get done with some of the tasks. Also, the XCode and official Apple IDE are not in support of tools or in support of Swift. There are always some or the other issue prevailing with the autocomplete, compiler, refactoring tools, and syntax highlighting. So, we are done with showing you both the sides of this trending language. You have the liberty to make your choice. If you want my opinion, as many drawbacks it has, the iOS developer with this skill set are highly in demand and the iPhone app development companies are ready to pay a handsome salary to them. So, there is no bad to learn it and use it.